TRENTON, New Jersey -- U.S. health regulators have approved the first new type of flu drug in two decades. Wednesday's approval of Xofluza for people age 12 and older comes ahead of the brunt of this winter's flu season. Xofluza is a pill that can reduce severity and shorten duration of flu symptoms after just one dose. It was developed by the Roche Group and Shionogi & Co. It works about as well as Tamiflu, Roche's older flu treatment, which is also available in cheaper generic versions. Tamiflu is taken twice daily for five days. 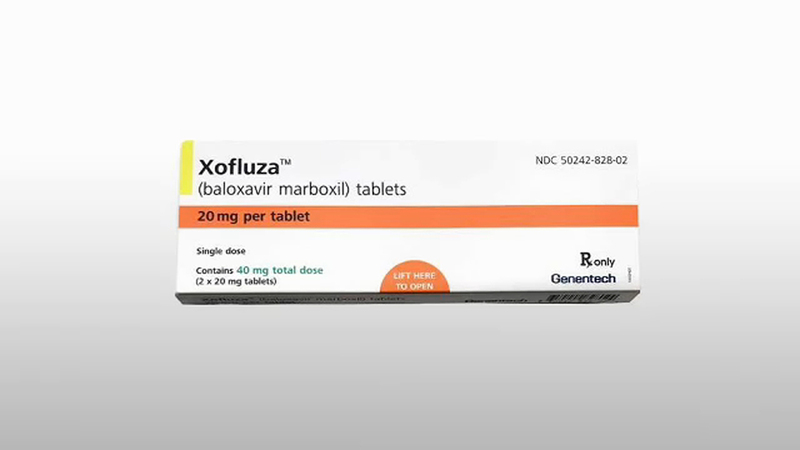 Roche's Genentech unit plans to launch Xofluza within a few weeks. It will cost $150 without insurance. The need for only one dose is an advantage since patients don't always take all their medicine, said Dr. Mark Eisner, Genentech's head of development of infectious disease medicines. "With thousands of people getting the flu every year, and many people becoming seriously ill, having safe and effective treatment alternatives is critical. This novel drug provides an important, additional treatment option," said U.S. Food and Drug Administration Commissioner Dr. Scott Gottlieb said in a statement. "We think this can be important for patients, important for public health," Eisner said.